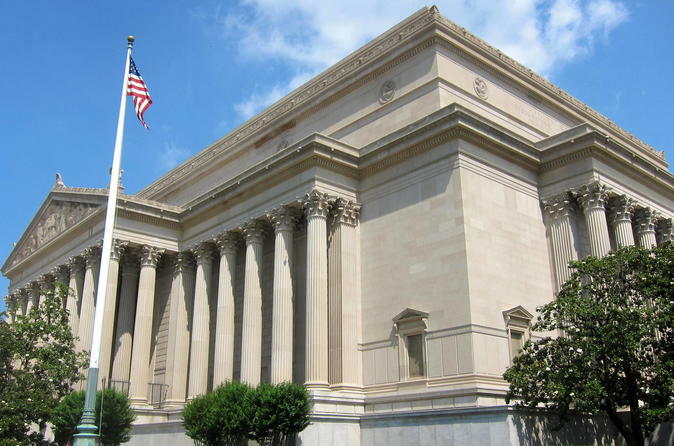 Discover the United States’ turbulent history through works preserved in the National Archives. This private, 2 hour tour explores the documents and letters that have built this very young, yet extremely influential world power. Enter the neoclassical building that acts as a temple to American history. Once inside, your expert guide will take you through the National Archives Rotunda to learn about the Declaration of Independence and the Constitution while observing the original documents. These papers, alongside the Bill of Rights and the Federalist Papers, are all signed by the prominent statesmen and founding fathers like Alexander Hamilton. Moving to the Public Vaults Exhibits, you’ll come face to face with letters from George Washington and John F. Kennedy. You’ll even see the Emancipation Proclamation, which, in 1863, led to the abolishment of slavery. Finally, in the Rubenstein Gallery, you’ll examine more historical documents like the Magna Carta of 1297, written well before the United States was even conceived, yet pivotal in influencing the other documents that you’ll experience in the Archives. By the end, you will have witnessed firsthand the humble documentation that created the world’s most powerful country.